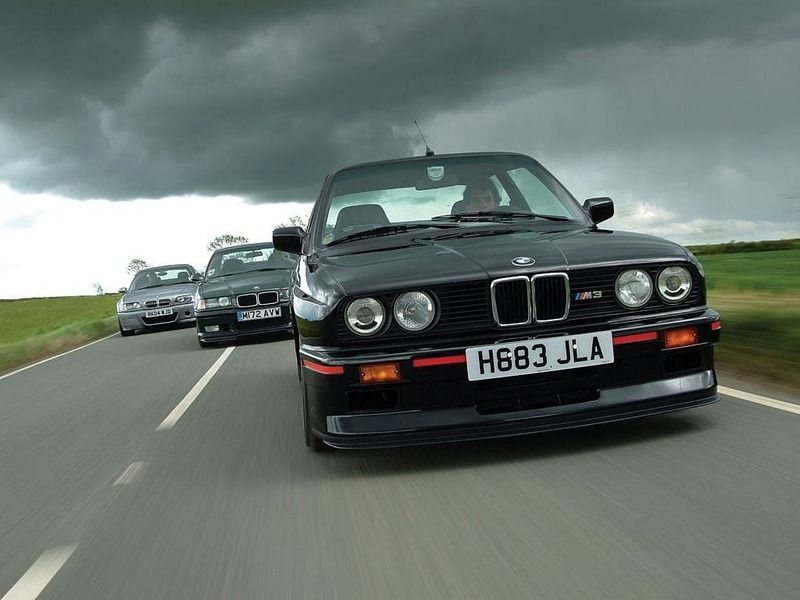 The BMW M3 turned 30 last year, and interestingly enough started with the E30 lineup. 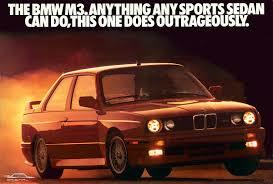 That M3 in 1986 was really only there for homologation purposes so that BMW could participate in Group A racing. So fittingly, BMW first designed the E30 race car, then modified it to be street legal rather than the other way around. 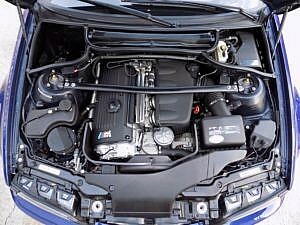 The powerplant was the S14 inline 4-cylinder derived from the M1. 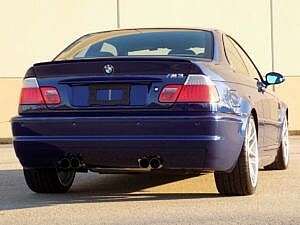 We saw the M3 roll ashore here in the States 2 years later in 1988, and it would last until being replaced in 1992 by the E36 series. 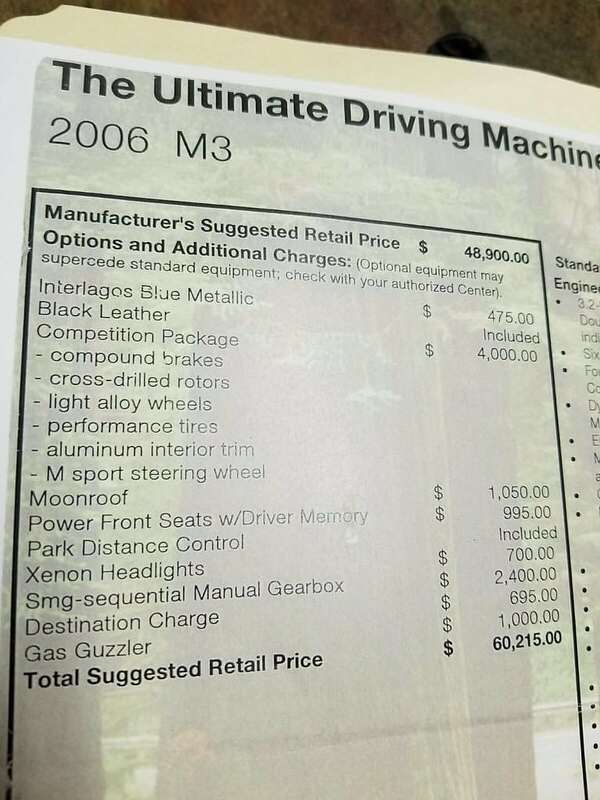 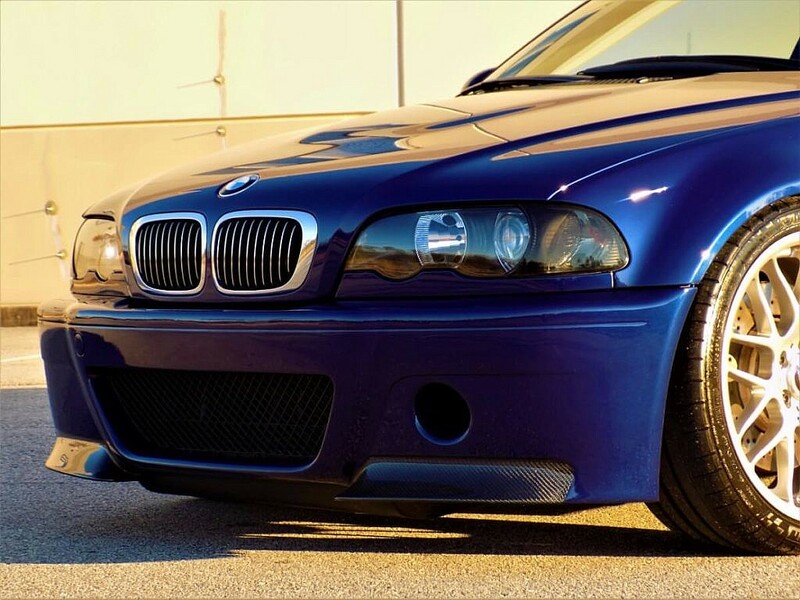 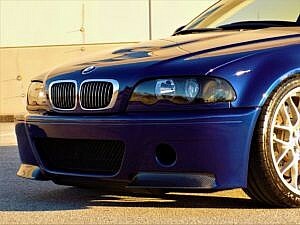 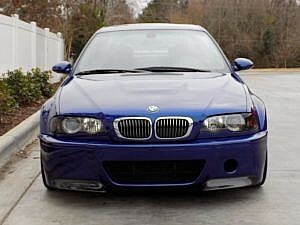 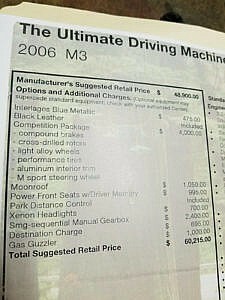 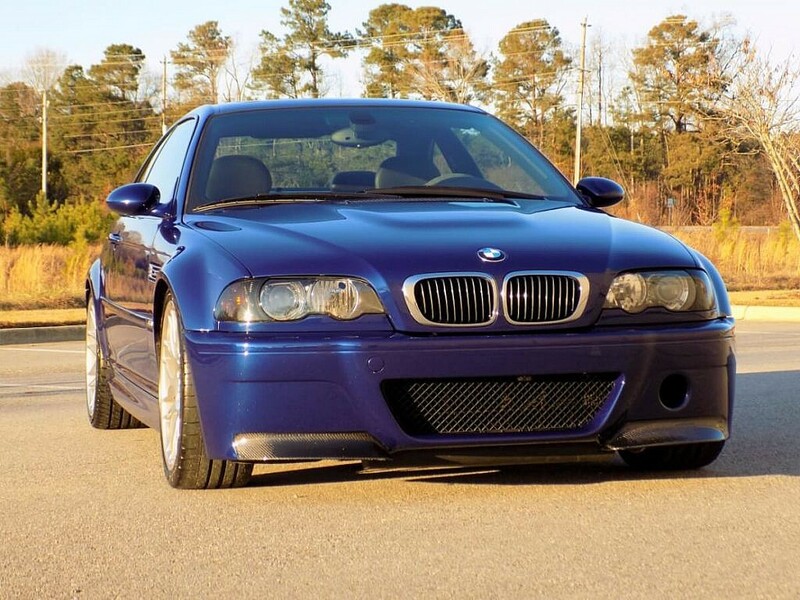 In 2000, the E46 hits the market. 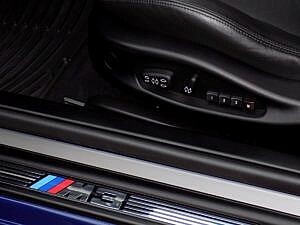 With it came some upgrades from its predecessor…namely the second generation sequential manual gearbox (SMG). 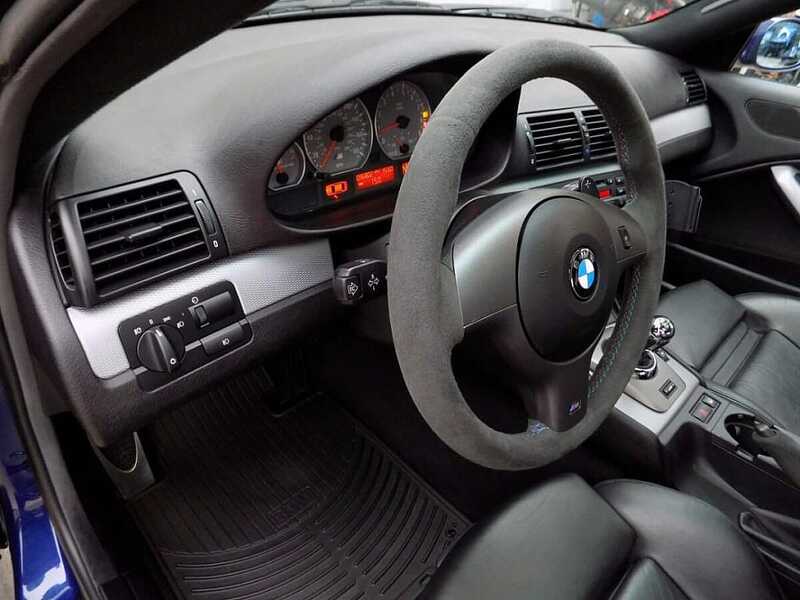 The SMG was first introduced in the E36 in 1997, it was/is BMW’s answer to a manu-matic, a gear-tronic, call it what you will. 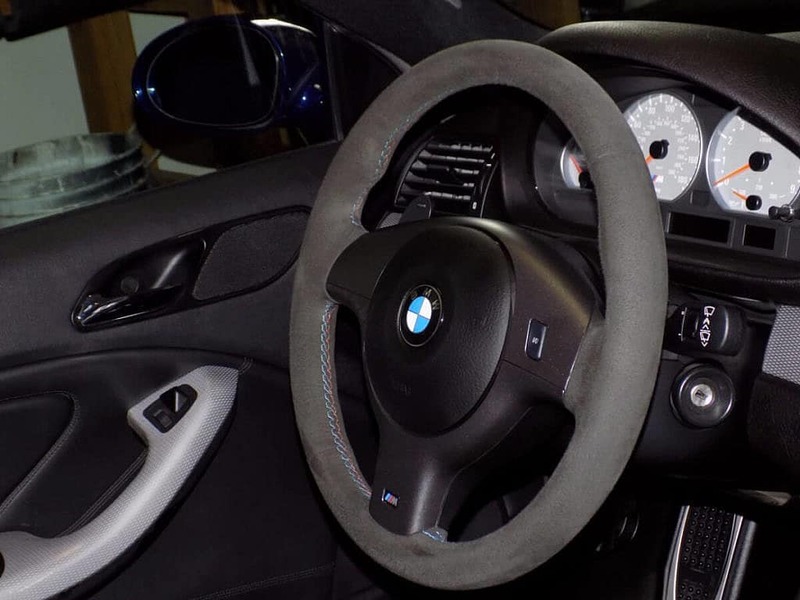 It’s basically a system that allows you to operate the car in either normal automatic mode, or in a clutchless manual setting, whereby you can change gears much like you do with paddle shifters or tip-troincs of today. Magnetic valves operate a pair of hydraulic cylinders that electronically engage each gear, allowing for super quick shifts. The SMG electronics are integrated with the Siemens engine management system, thus synchronizing the engine and gearbox. 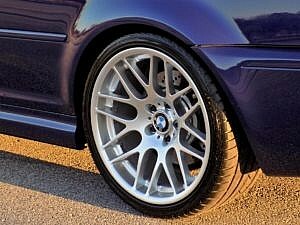 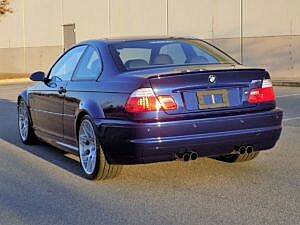 Produced from 2000-2006, the E46 is considered by many the best mix of a luxury street car with a track-focused pedigree. Second Daily Auctions is proud to present this stunning 2006 E46 M3 optioned with the highly desirable factory Competition Package bringing the MSRP to just over $60,000 when new. In Europe, this is known as the M3 CS. 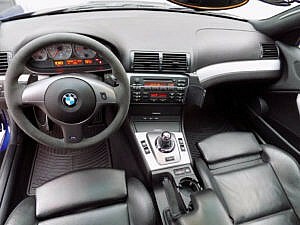 Internally designed as “ZCP”, the competition package was introduced in December 2004. 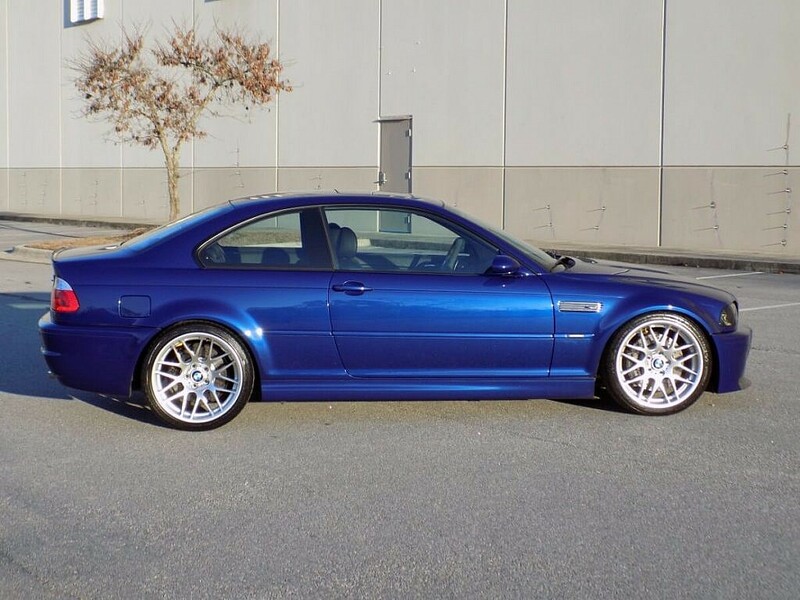 It consisted of the following equipment (most of which is derived from that of the limited-production M3 CSL): Cross-drilled brake rotors (enlarged to 13.7 inches in front) with two-piece compound rotors (aluminum hat and outer portion connected by steel pins), reduced steering ratio, M Track Mode setting for Dynamic Stability Control, 19-inch cross-spoke alloy wheels, Alcantara-wrapped M three-spoke steering wheel, aluminum interior trim with milled effect, and the exclusive Interlagos Blue metallic (A30) paint option. 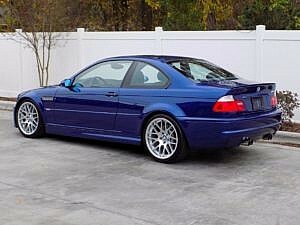 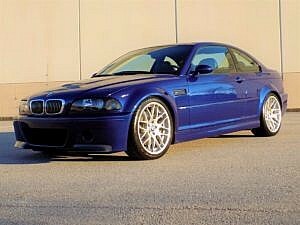 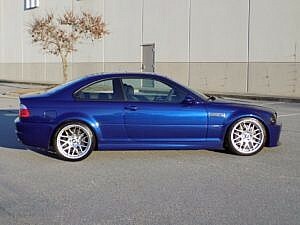 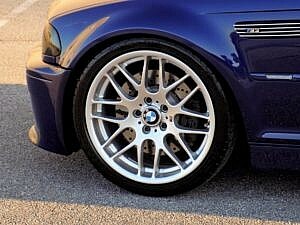 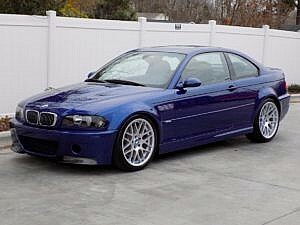 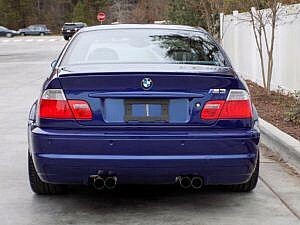 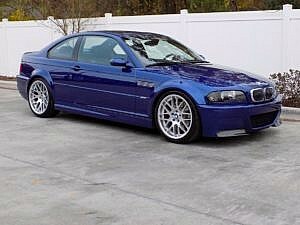 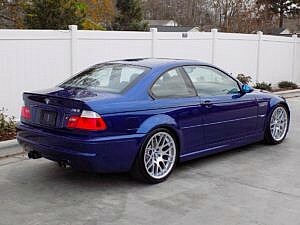 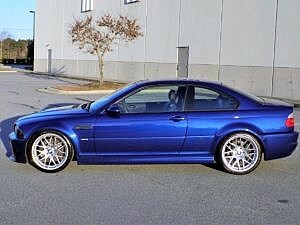 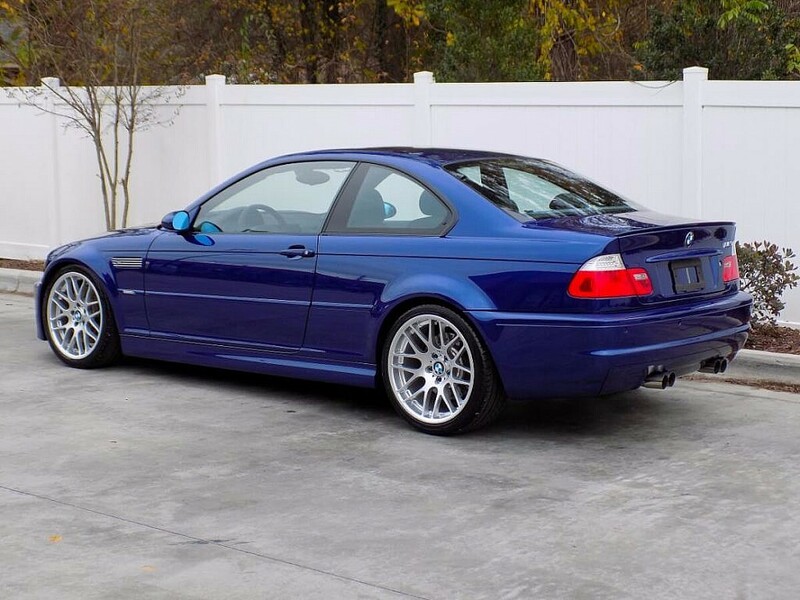 Only 2,410 of the E46 M3’s with comp package were ever made for the States (Model BL93). 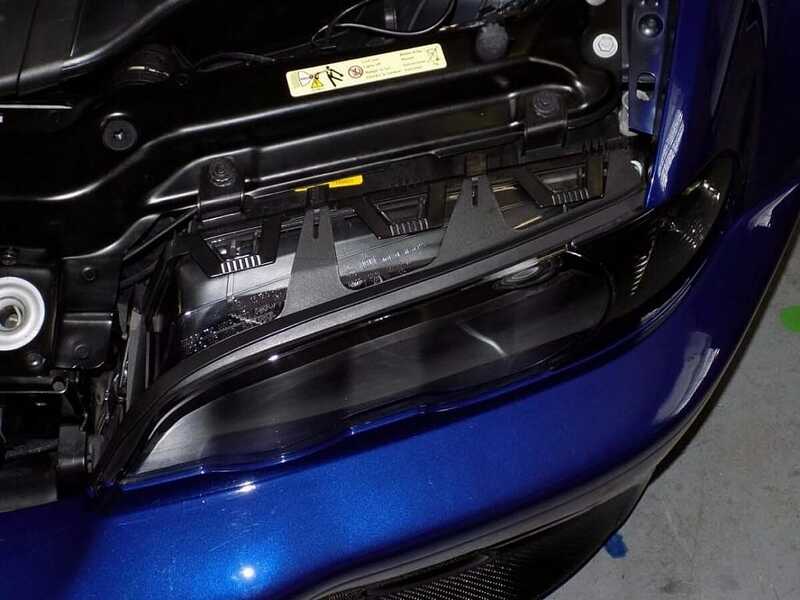 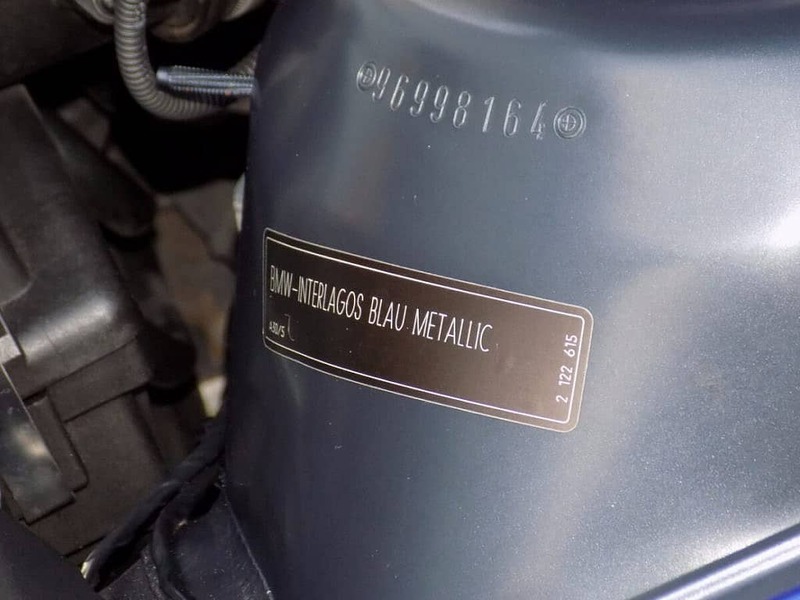 The optional Interlagos Blue Metallic paint shows very well, maintaining the claims of always being garaged kept. 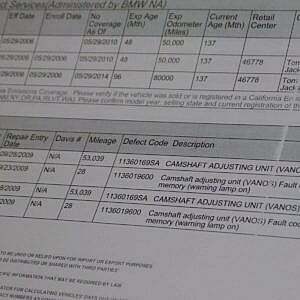 No reported accidents have occurred. 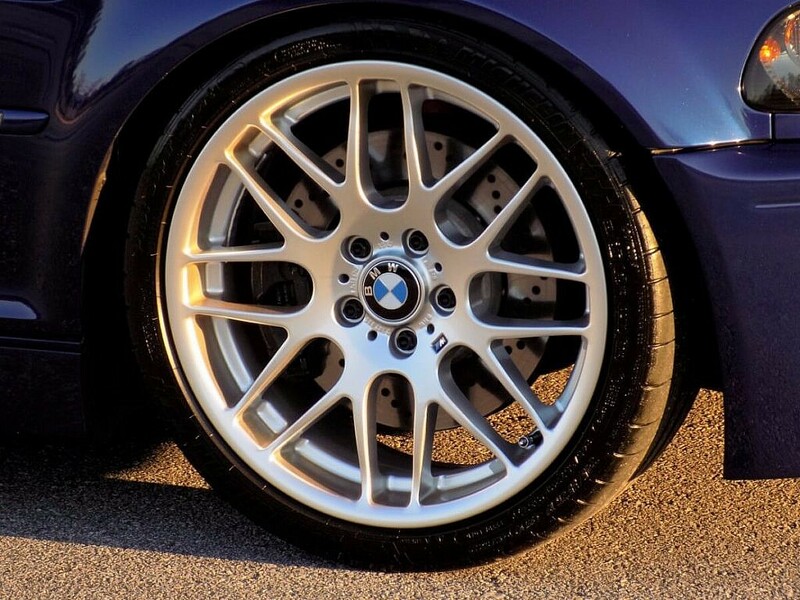 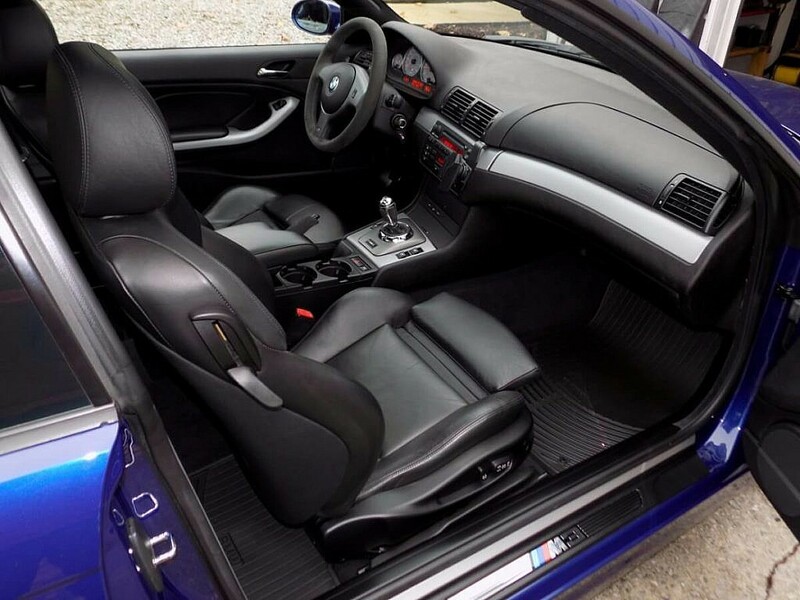 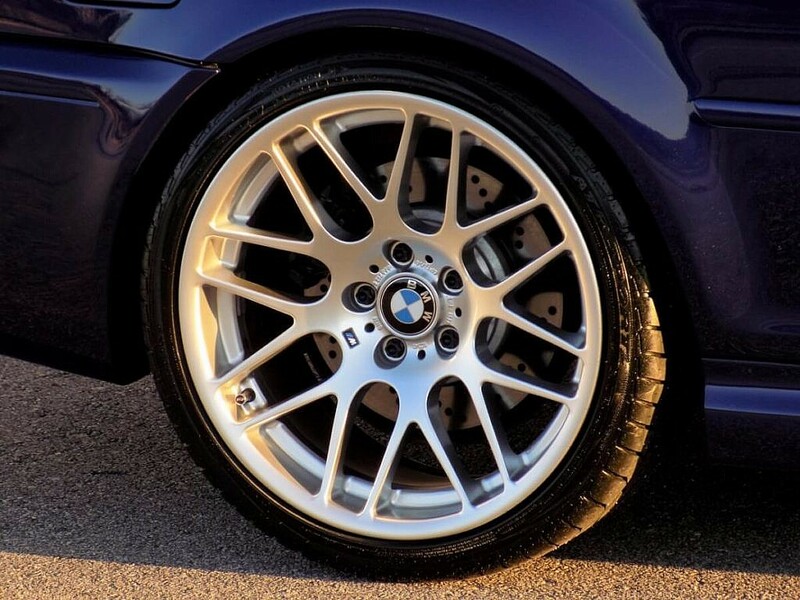 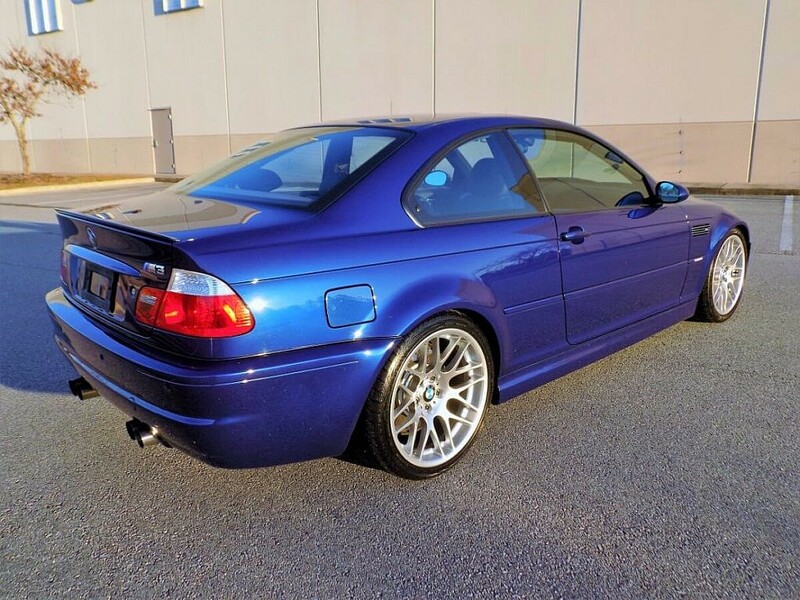 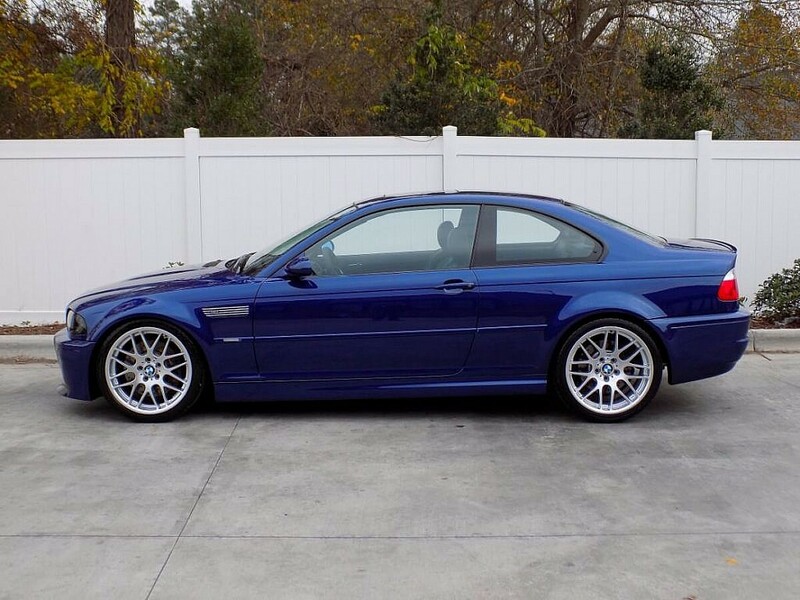 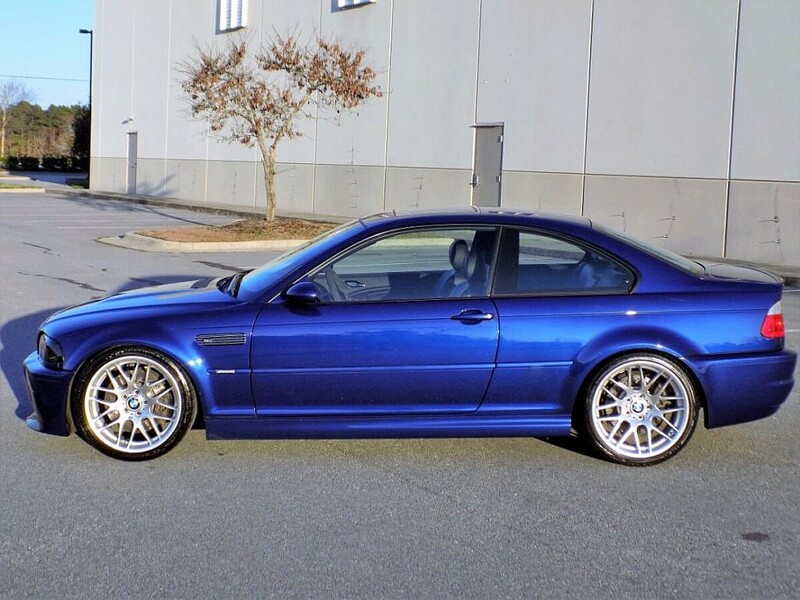 The current owner is an enthusiast in the community and has kept this M3 in meticulous order. No visible flaws can be found, all panel gaps appear perfectly aligned, all glasses and lenses show no cracks. 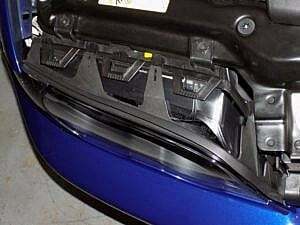 The optional Xenon headlights show clear. 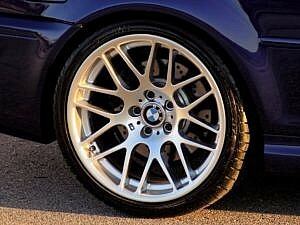 It sits on staggered 19″ BBS lightweight wheels with those compound/cross drilled brakes hiding behind. 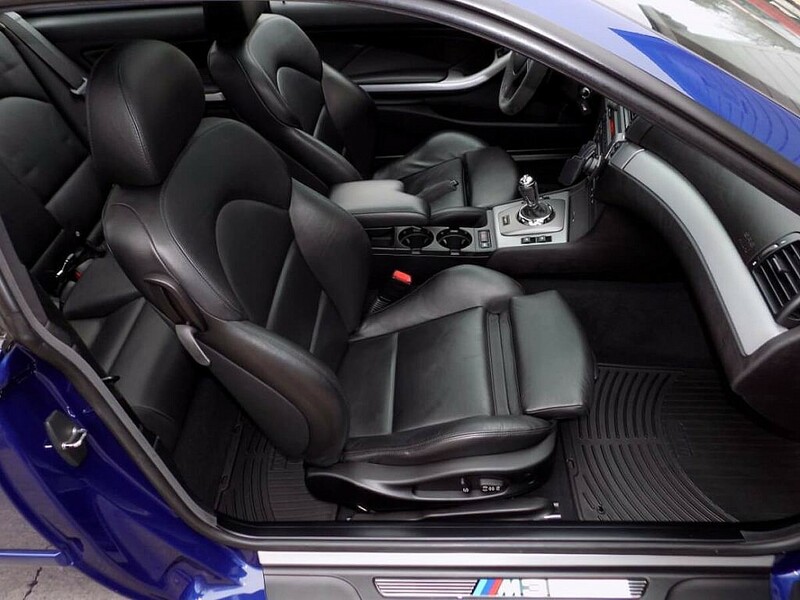 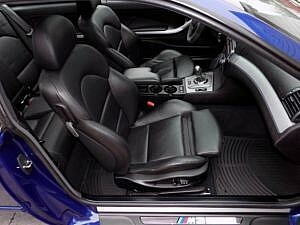 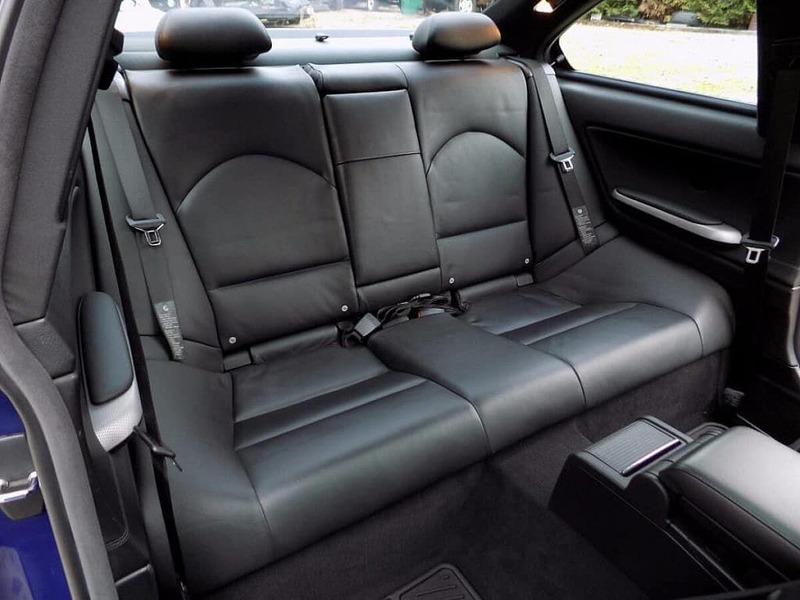 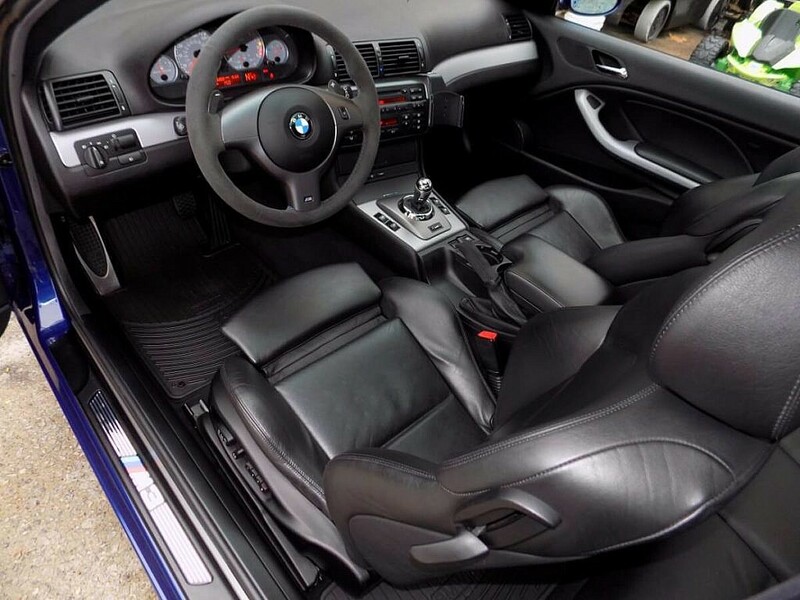 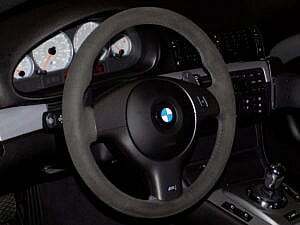 Inside the leather is reported to be perfect and the alcantara surfaces are not matted down or worn out. 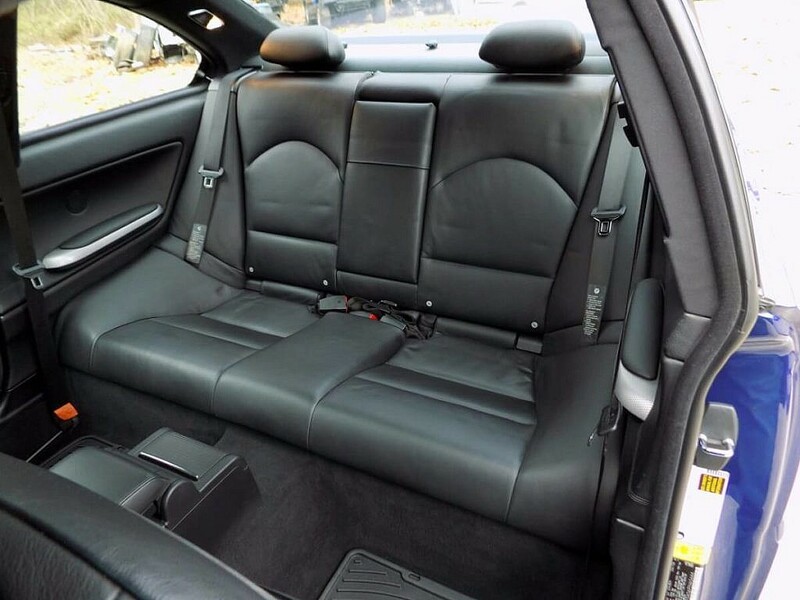 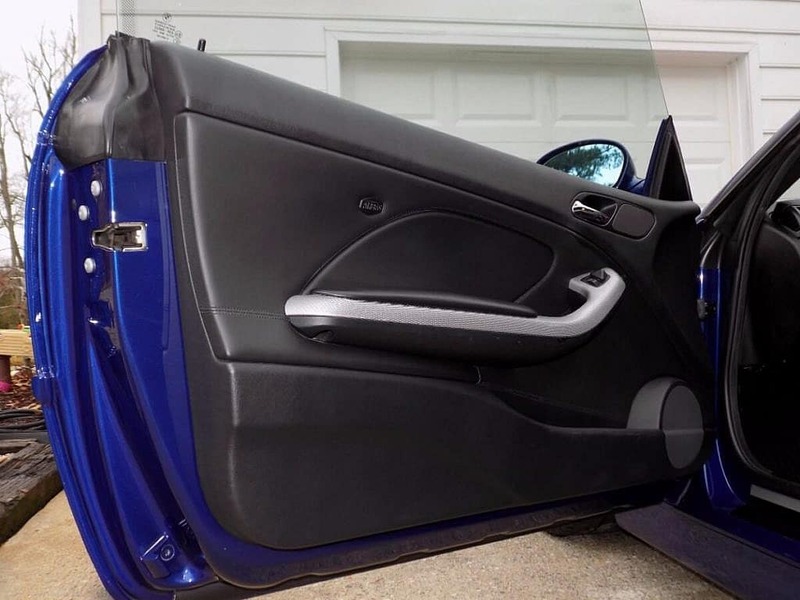 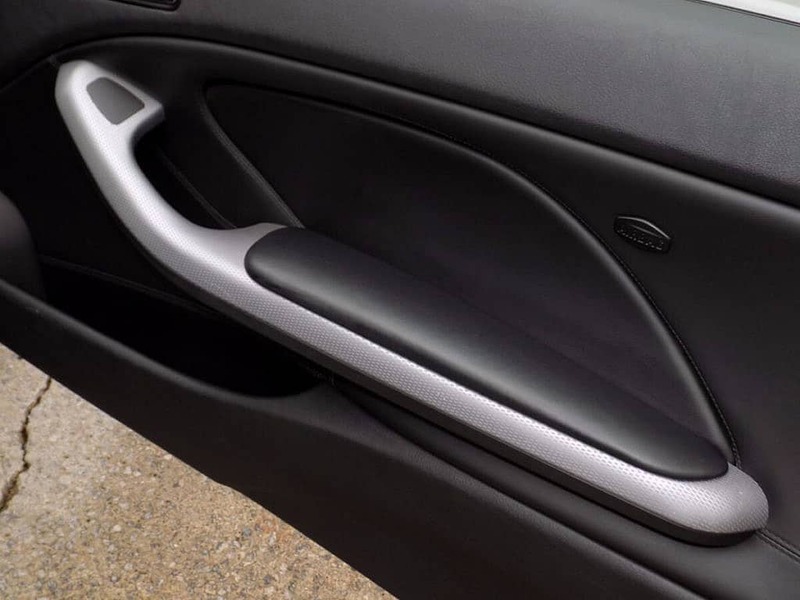 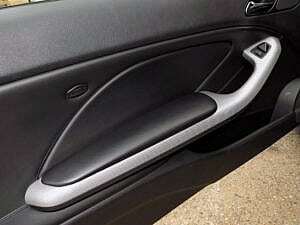 No excessive wear is seen on the seat bolsters, the door sills show clean without any excessive entry/exit wounds. The tri-color stitching on the steering wheel is bright with no signs of excessive wear or fading. 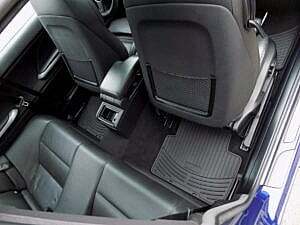 New all-weather floor mats are included, as well as the original carpet mats. 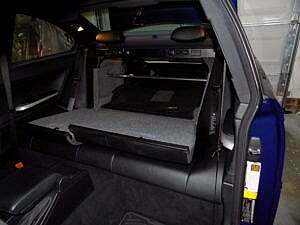 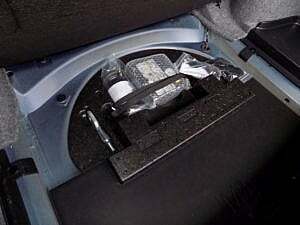 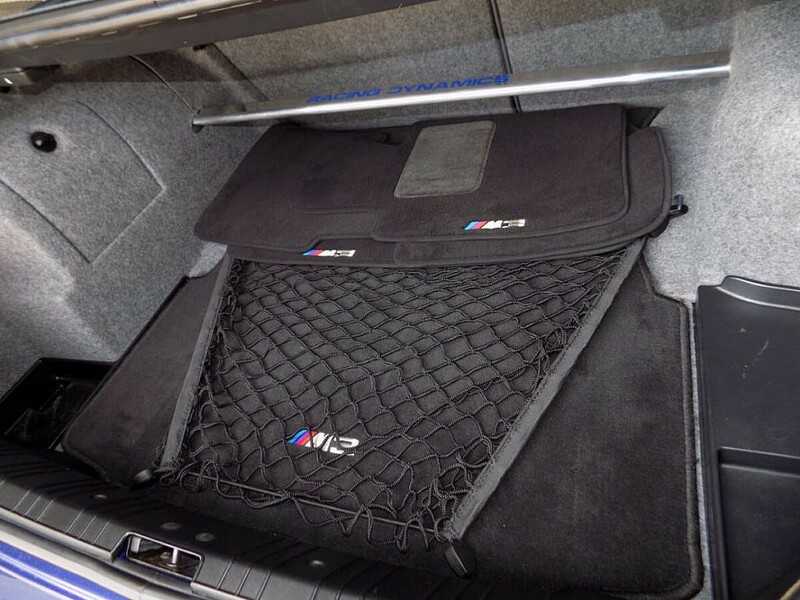 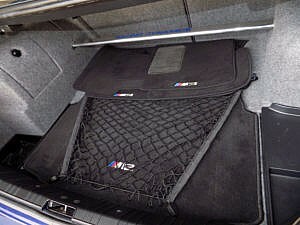 Inside the trunk is a BMW accessory carpet trunk mat. The seller reports there are no failed pixels in the radio, climate control, or instrument cluster display screens. 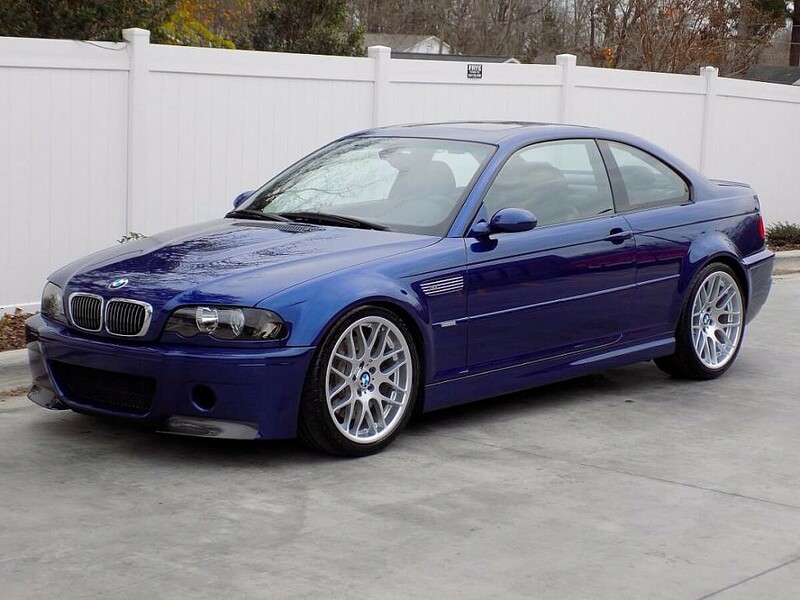 Modifications from original have been kept to a very tasteful minimum on this M3. 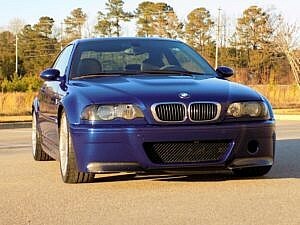 The original front bumper was replaced with a European M3 CSL replica, and during this process the water washer bottle and fog lamps were deleted. 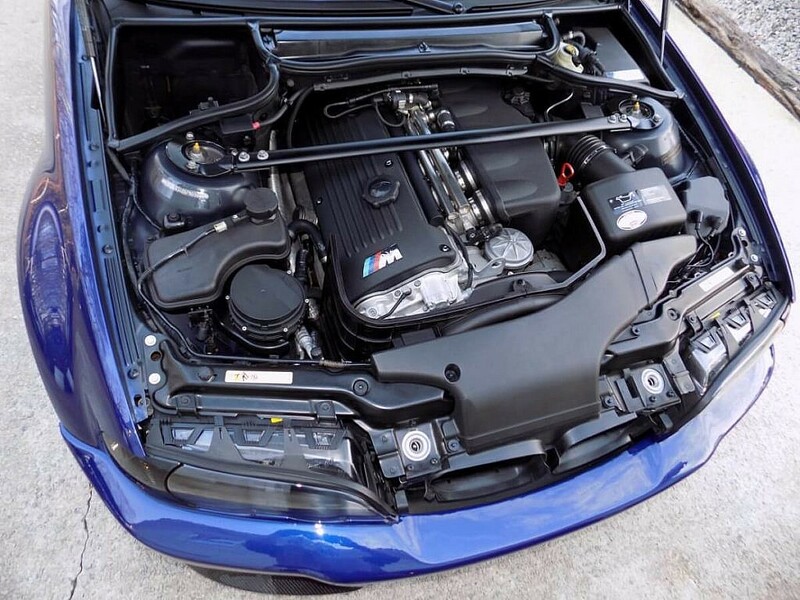 This M3 is equipped with Ground Control Street/Track adjustable suspension, Eibach springs, Koni shocks, Hotchkis adjustable sport sway bars, and a Racing Dynamics rear strut brace. The front corner lamps were replaced with “smoke” tinted lenses but the factory original corners were kept and are included with vehicle. 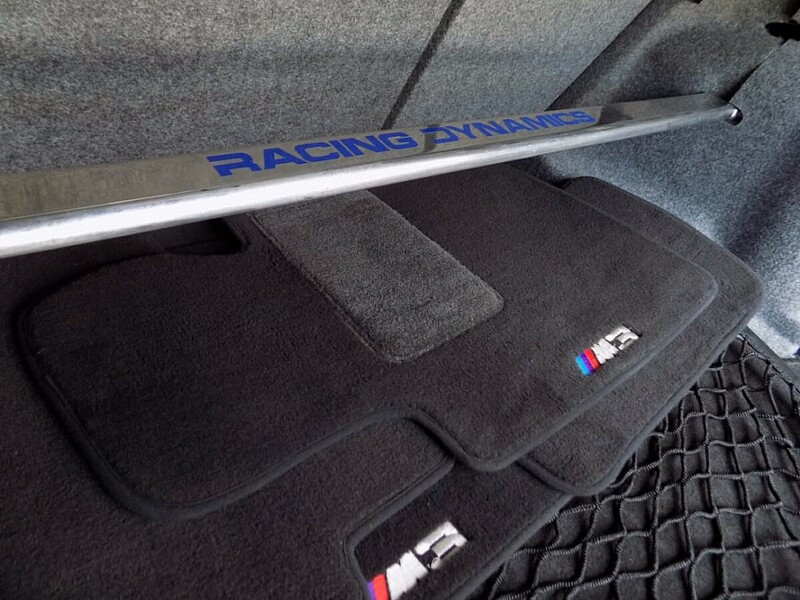 An aftermarket performance muffler was installed but the original was kept and is included. 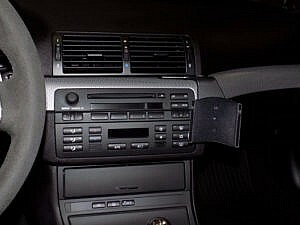 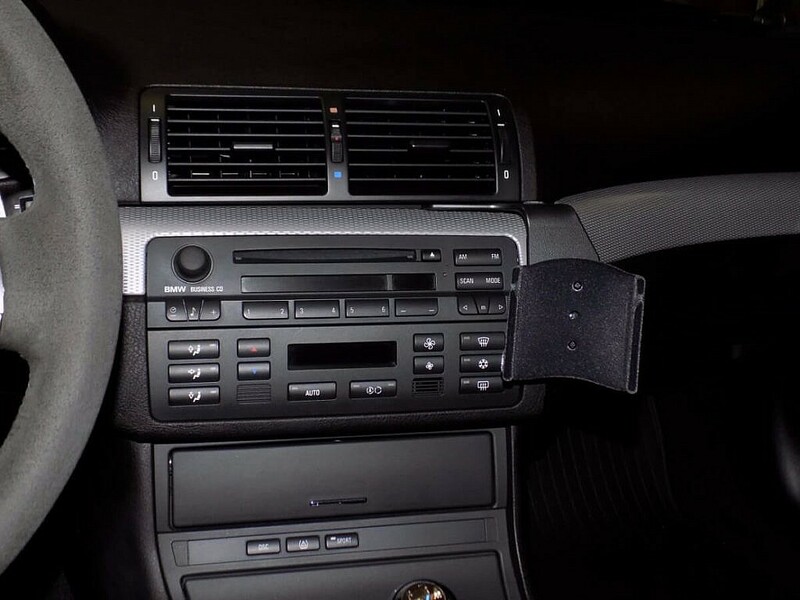 An Aux input for the factory stereo was added. 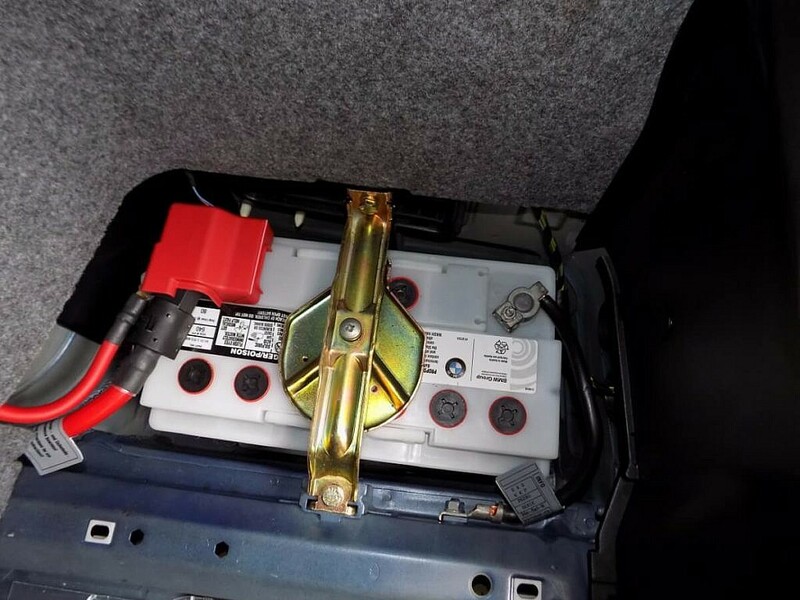 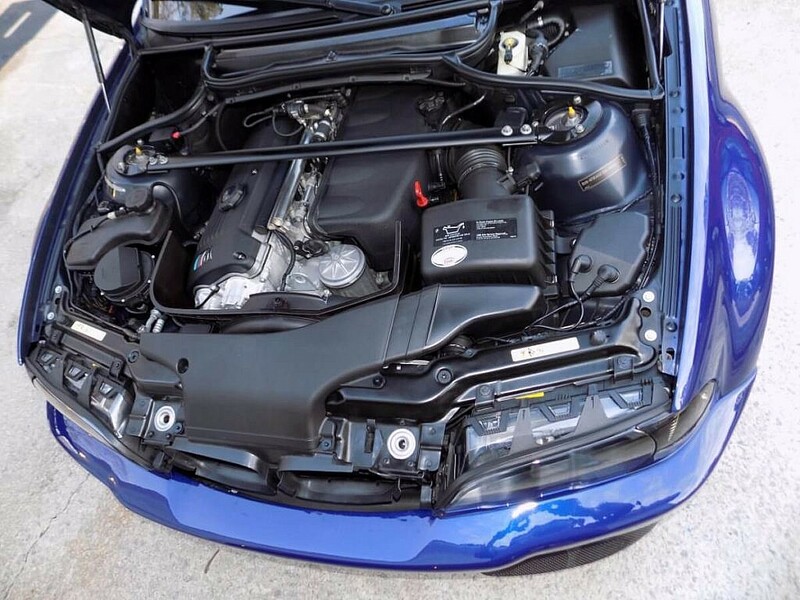 The seller reports the car has absolutely no leaks of any kind. 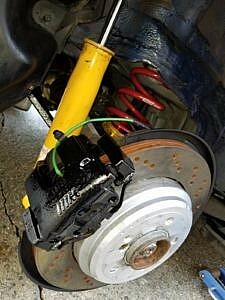 It is a southern car and no rust is present, nor any signs of winter usage were found on the undercarriage. 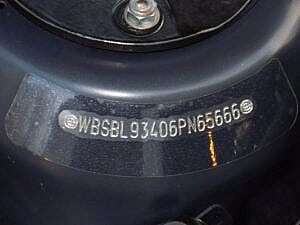 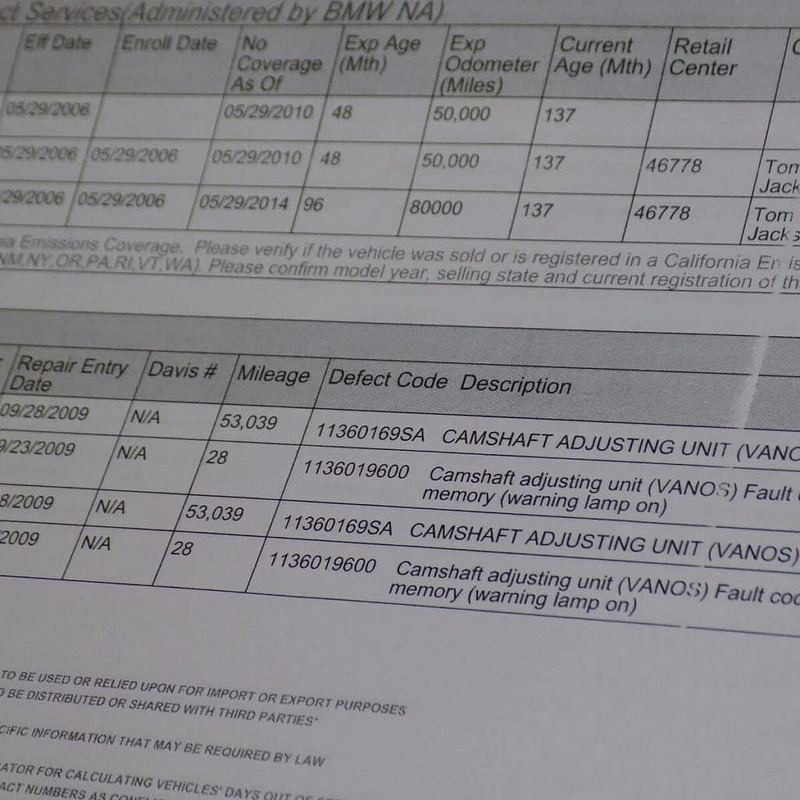 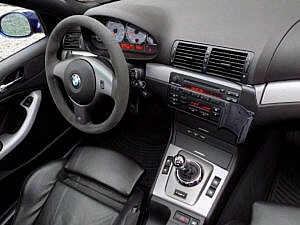 The Vanos system was replaced under warranty by BMW around 50,000 miles. 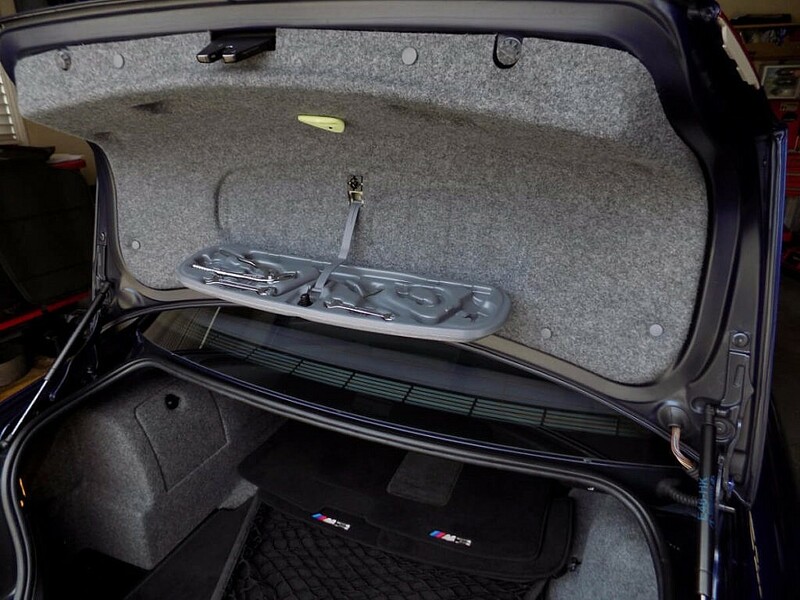 Rear subframe/body cracking is a well known concern with 3 series cars, therefore last month the seller had the rear subframe checked and no signs of cracking were observed. 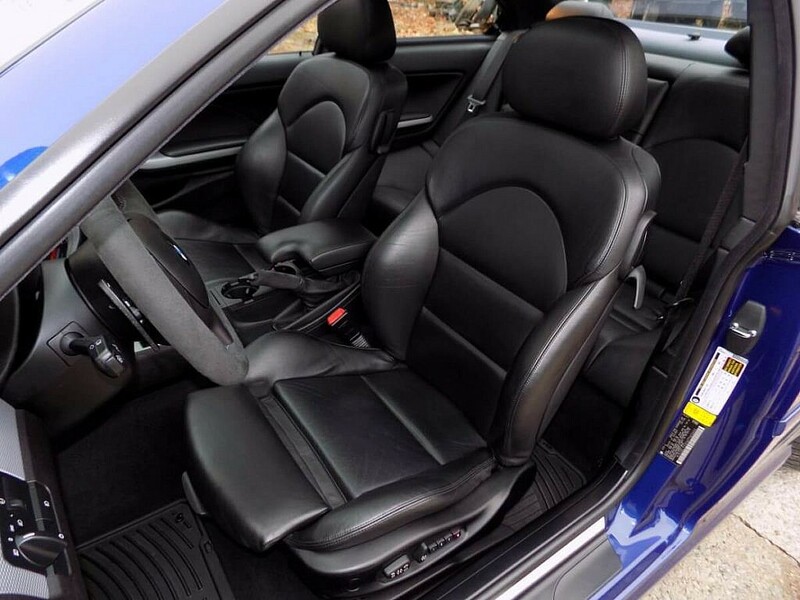 The seller reports the SMG transmission operates flawlessly, as does the heat-A/C, power windows, locks and parking brake. 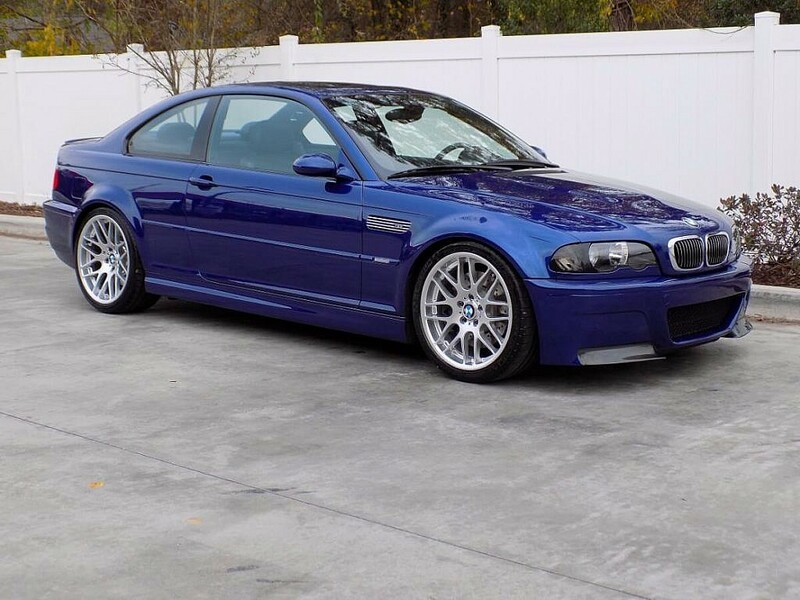 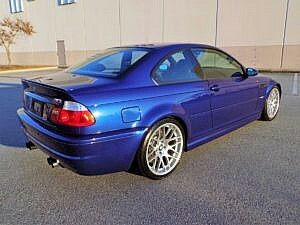 This M3 has been enthusiast owned since new and all the maintenance is up to date. 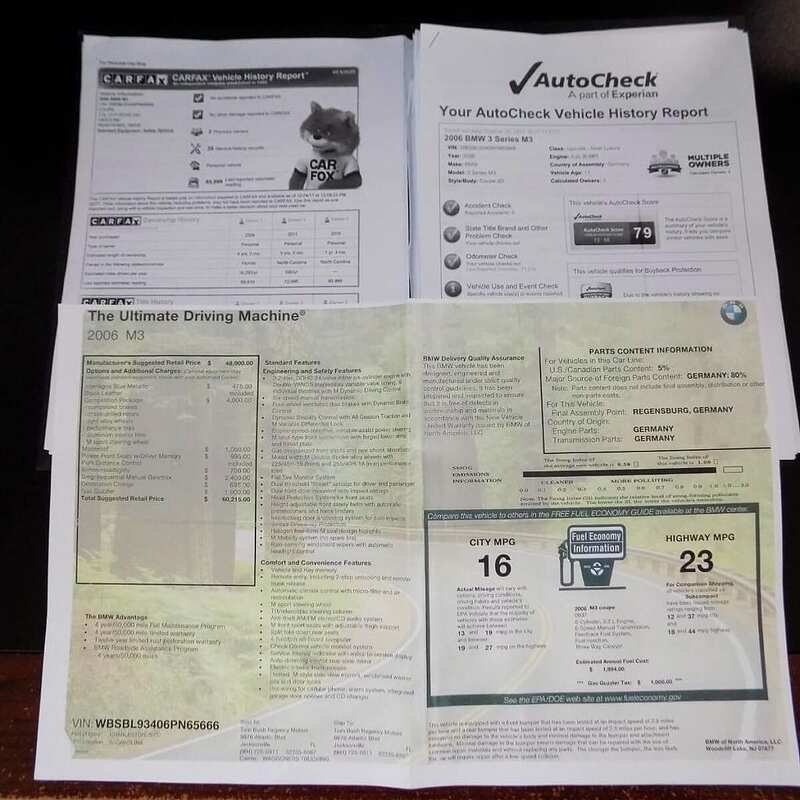 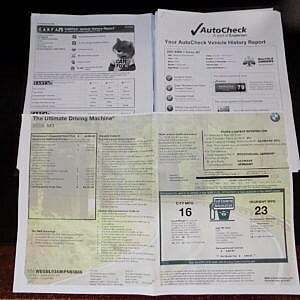 It will convey with the original dealer window sticker, all BMW warranty records from new and record of every major service or repair since warranty ended. Also included in the sale are both the original working remote keys and the valet key. 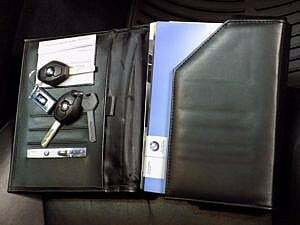 The original owner’s manual packet is complete and also included. 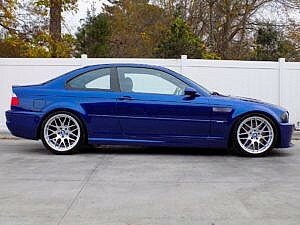 That’s how you want to buy an M3. 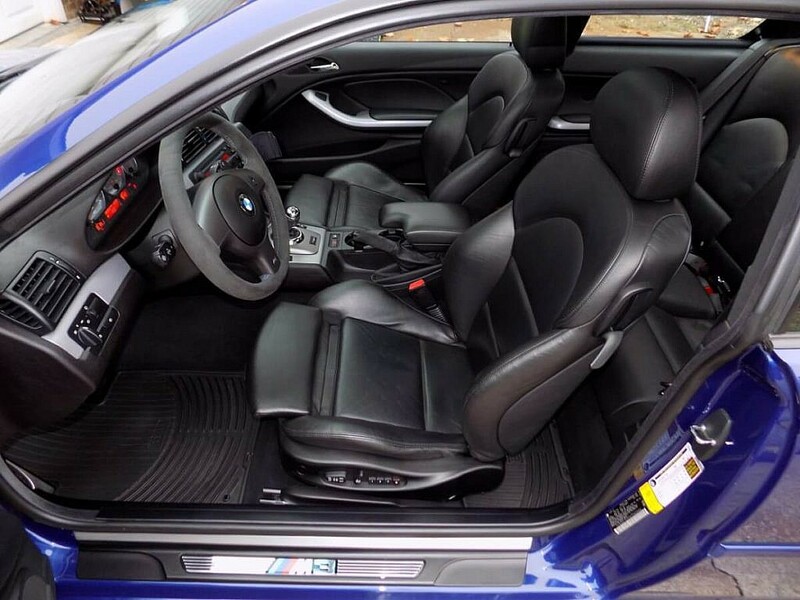 A very market-driven competitive reserve has been set. 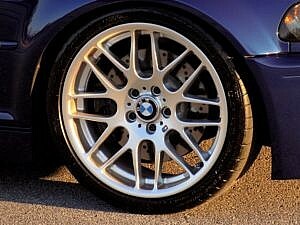 In addition to this, new tires and recent services have been completed, reducing any startup buying costs you may incur in other similar cars currently in the market. 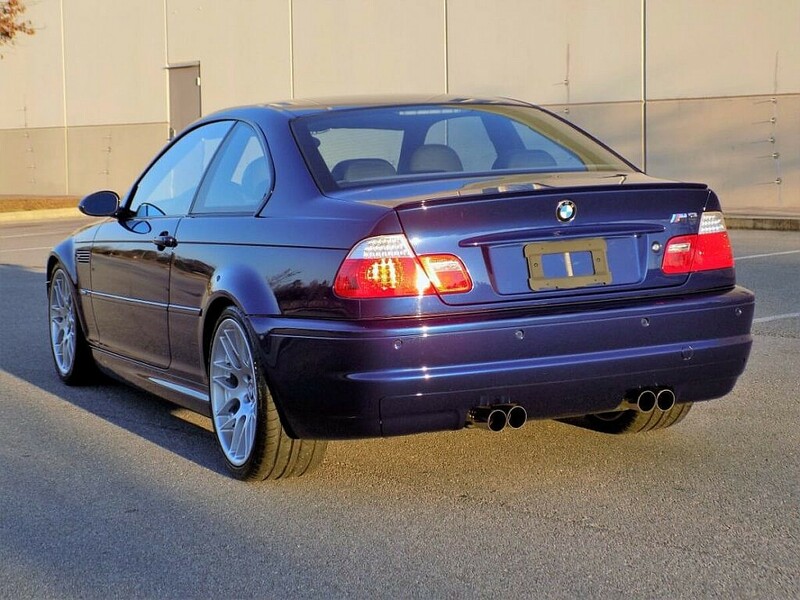 Register to bid now. 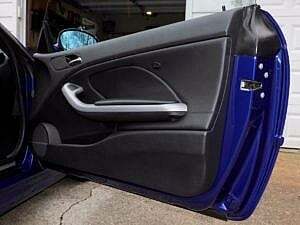 Car is one of only 243 models meeting this paint/transmission/interior spec in North America. 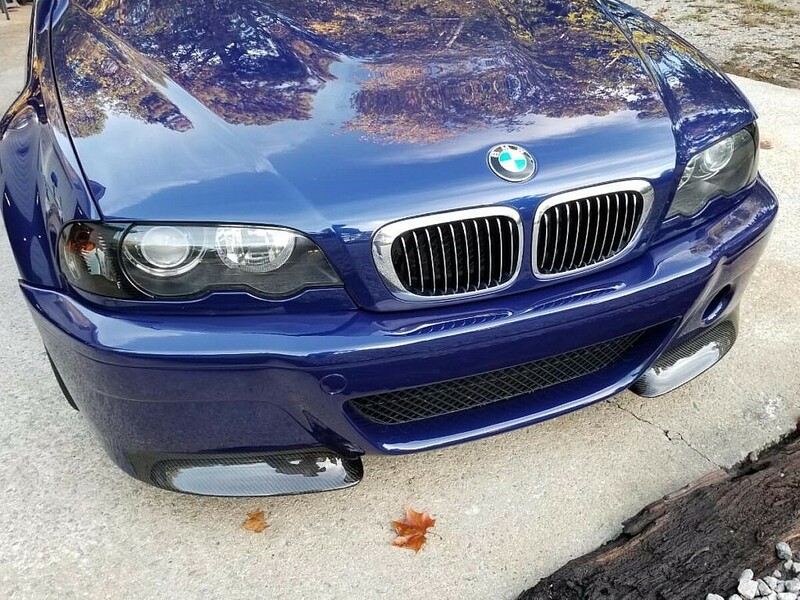 Still trying to sell? Please message me if so, thanks.